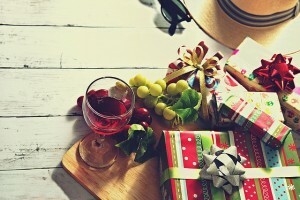 Is it Possible to Have an Eco-Friendly Christmas? Once those Christmas songs start playing in shops and the party invites start rolling in, then it’s official; the festive season has begun. It’s a chaotic time of year, and there’s often a lot to do, from gift wrapping to installing kitchen cabinets to ensure you’ve got enough space for the big food shop. 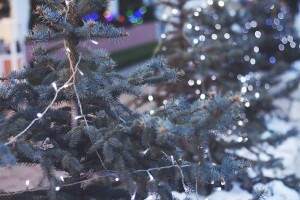 However, as Christmas becomes a bigger and bigger event, it becomes less and less eco-friendly, with tonnes of waste generated from unused gifts, decorations being thrown away, and more. But is it possible to have a Christmas that’s eco-friendly without depriving ourselves of the fun aspects of the festive season? The statistics around Christmas make uncomfortable reading for anyone concerned about the environment. In 2006, Australians spent $10 million on Christmas lighting, and around $58 million on decorations, gifts, and other Christmas-related purchases. This included 34 million cuddly toys, and a whopping 11 million dolls, many of which will be in landfill by now. 10 years later, in 2016 we spent $8.8 billion on Christmas alone! By spending a little more time thinking about what you’re buying, you can ensure each gift you give has less of an impact on the environment, and is something that’ll be used and cherished rather than thrown away. Wrapping paper is a huge contributor to waste during the festive period. A lot of wrapping paper is now embellished with foil and glitter, meaning it can’t even be recycled, so goes straight to the dump. Recycled brown paper, or even newspaper can actually look pretty cool under the tree, and you can finish the look off with a reusable fabric ribbon, which is more environmentally friendly than plastic tape or bows. If you have kids, get them to make their own wrapping paper using potato stamps carved with festive designs, or get them to draw their own artwork. Relatives can then either keep the paper, or recycle it easily. Christmas cards are something of a dying trend, with more people now preferring to send messages or talk via social media. However, if you prefer to send cards, then make sure they’re made from 100% recycled materials, and can be recycled by the recipient. Again, avoid anything that has foil or glitter, as this will mean they’re harder to recycle. Keep any cards you receive and take them to a recycling centre. Australia Post have schemes such as Christmas card recycling boxes in their branches, which makes them easy to drop off. If you’re feeling crafty, they can even be turned into festive gift tags for next year. Plastic Christmas trees often last a few years, then get thrown away, so consider buying a local tree that you can replant in-between uses. Changing your colour scheme yearly means that you have to buy all new decorations, and plastic baubles often can’t be recycled. Buy high-quality decorations that you love, and keep them year after year. They have more sentimental value, and can even be passed onto the next generation. 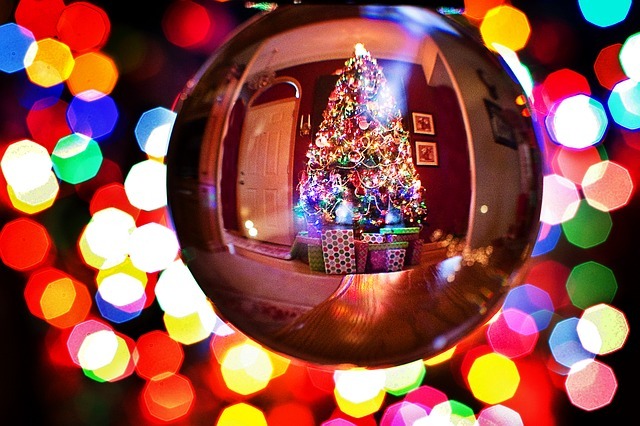 Glass baubles are a pretty option, which can be recycled, and wooden decorations have a traditional look. Lastly, check what kind of Christmas lights you have. LED lights are more energy efficient, and therefore you save money as well as the environment. Your kitchen will no doubt get more use over the festive season than it does for most of the year, so make sure it’s eco-friendly. If you’re having new kitchen cabinets installed, choose eco-friendly options in recycled or environmentally friendly materials. Check whether your appliances are energy efficient. If you’ve had them a long time, then they can start to become inefficient and cost a fortune to run. Make sure you have recycling and compost bin to hand too. When it comes to dinner, try to shop local, supporting businesses in your community and cutting down your food miles. Opt for organic or sustainably farmed turkey and seafood, and once you’ve enjoyed your main Christmas meal, make use of the leftovers so there’s less waste. Cold leftovers are great on a hot day. Remember, if you’re going away on a trip, make sure energy isn’t wasted when you’re gone. For example, re-programme your air conditioning so it only comes on for short bursts, enough to remove humidity and keep pets comfortable. If you’re planning on updating your kitchen before the festive season, get in touch with ecocabinets in Perth on 0468 608 512 for an environmentally friendly option.